The multi-talented British writer-director-performer talks about exploring disturbing territory, filming while pregnant and catching the magic of the moment. 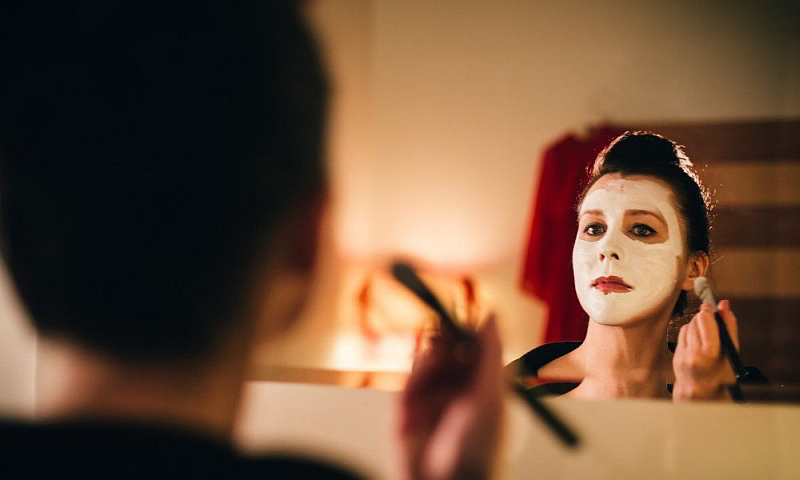 Known for her work in Sightseers and Garth Marenghi’s Darkplace, Alice Lowe made her widely acclaimed directorial debut with the warped, hilarious and bloody black comedy Prevenge, which she also wrote and starred in while heavily pregnant. Filmed in 11 days, the story focuses on an expecting mother who goes on a vengeful killing spree, spurred on by her unborn baby. Although it is a dark, uncomfortable and surreal tale, Lowe has managed to create a character that audiences find themselves rooting for. A film that confuses the moral compass, it stays on the mind long after it ends. Angela Penhaligon met Alice Lowe at a small coffee shop in an art gallery in South London, where she was surprised to find this purveyor of darkness playing with her little girl, smiling, drinking cucumber water and wearing a dainty vintage purple top. They talked about exploring disturbing territory, filming while pregnant and catching the magic of the moment. Angela Penhaligon: Where does the darkness come from? Alice Lowe: I’ve always been an honorary goth, I like horror, dark fairy tales, mythology, things that take a turn for the creepy. I don’t decide to do it, it just happens. I don’t think people think of me as a dark person. It’s just the stuff that interests me, it’s the world I go into to challenge myself, it’s that cosy creepiness that I explore through my work and hopefully don’t experience in real life. I don’t know where it comes from but I know that I enjoy exploring it. What was it like to direct the film while pregnant? I didn’t find filming it too stressful, I had loads of energy. I think I was a bit high on pregnancy hormones. I made lots of decisions that made it really easy, working with people I really like, setting it up to be a short shoot, and we had free special effects in the fact that I was really pregnant. It wasn’t hugely stressful in a ‘I nearly died shooting this’ kind of thing. How did you approach the shoot? We did go off script a bit when we were filming and the process was quite adaptable, capturing the magic of the performance, the location, the ideas that pop into your head, grabbing what you didn’t know you were going to film. For me capturing a film is about textures, almost like a painting or like making an album, you want a bit that’s fast, slow, happy, so the audience is going through this journey, an experience. Once you know what colours you’re trying to fill in, it shouldn’t take that long to film. It’s more about the parameters of things than it is about the actual filming. It’s funny to see what was important in the edit, sometimes it’s the moments you didn’t put a lot of weight on that are hugely important in retrospect. It came to me in snippets, I had clear visions of specific scenes, which I stayed true to when it came to film the scenes. I’m working on my next film, it’s in the percolation stage, I’m nurturing ideas, and I’m working on enhancing my creative bubble. A dark one, I assume?